Five Point Program Thrust - Houston Metropolitan Alumnae Chapter of Delta Sigma Theta Sorority, Inc. Since its founding in 1913 Delta Sigma Theta Sorority, Inc. has clearly distinguished itself as a public service organization that boldly confronts the challenges of African Americans and, hence, all Americans. Over the years, a wide range of programs addressing education, health, international development, and strengthening of the African American family have evolved. HMAC works tirelessly to uphold the principles of our Sisterhood and serve the community. 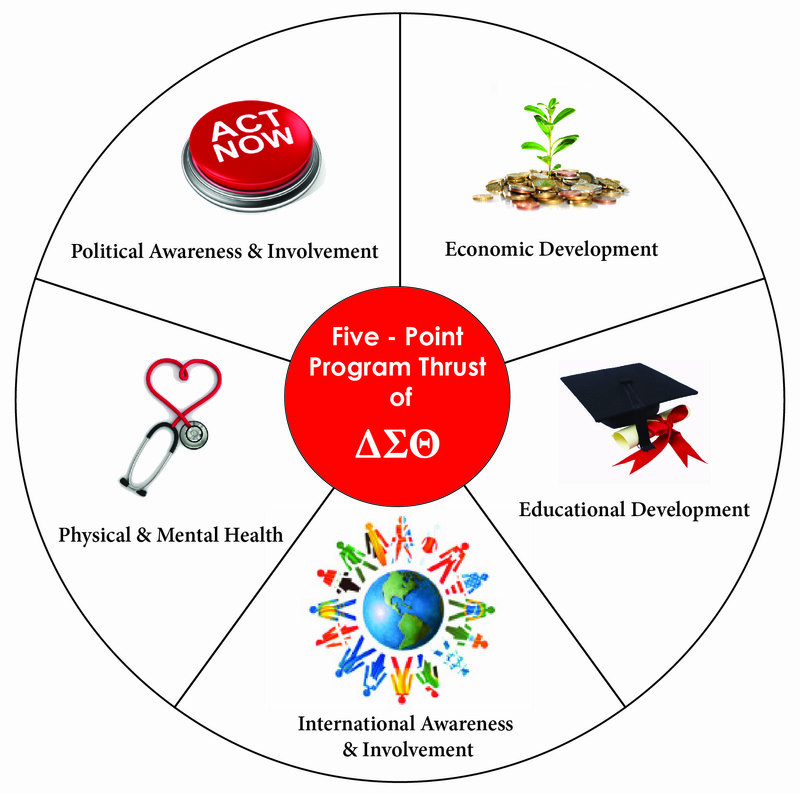 We are committed to serving by subscribing to the 5 Point Programmatic Thrust, as established by Delta Sigma Theta Sorority, Inc. We enact programs under each thrust on various levels, ensuring that our community is better served because of our commitment.